If you are considering your home fence options, common misconceptions about vinyl fencing material or design may have caused you to overlook this fencing option. However, vinyl fences are very popular among homeowners, and since vinyl fence design options are virtually endless, one of your neighbors may have a beautiful fence that you don’t even realize is made out of vinyl. Read on to learn four little-known facts about vinyl fences so that you don’t overlook a fence option that may be perfect for you and your family. Of course, you want a fence that is strong and resistant to both breakage and the elements. If you have a pet, then you also need a fence that they cannot easily damage. Vinyl is a great option when you want a strong fence, as it is has about its tensile strength is about five times that of wood. Tensile strength is a material’s resistance to breakage. While strong, vinyl is also slightly flexible, which is an advantage. While no fence material is completely resistant to damage during a natural disaster, the flexibility of a vinyl fence makes it resistant to wind damage — it will often simply flex instead of breaking. If you care about the environment, then you may be leaning toward a natural wood fence or one made of a recyclable metal. However, it is important to not overlook vinyl due to environmental concerns, because this material is 100% recyclable. Once taken to a recycling plant, vinyl can be recycled in one of two ways. It can be mechanically recycled, which means it is broken down into small pieces, melted, and then used to form another vinyl product. It can also be broken down into its original chemical components, which consist of chlorine and carbon, and these chemicals can then be re-used in a variety of ways. Of course, you don’t want to expose your family to more VOCs, or volatile organic compounds, than you have to. Since vinyl is a synthetic material, you may expect that it will emit many VOCs that will pollute the air. However, realize that while most fence materials themselves do not emit VOCs, the treatments, stains, paints, and chemical cleaning products often needed to keep them pest-resistant, attractive, and clean can emit them. Since vinyl is naturally pest-resistant, no special treatment is needed to give it pest-deterrent properties. Also, keeping your vinyl fence looking great does not require the use of stains and paints, since it will maintain its attractive appearance for many years without the need for these treatments. In addition, vinyl fences are very easy to clean, and dirt will just slide right off them with the spray of a hose or an occasional scrub with a soapy water solution. If you saw one vinyl fence that you disliked the appearance of or thought would not suit your fencing needs, realize that vinyl fences come in many more designs and colors than you likely realize. 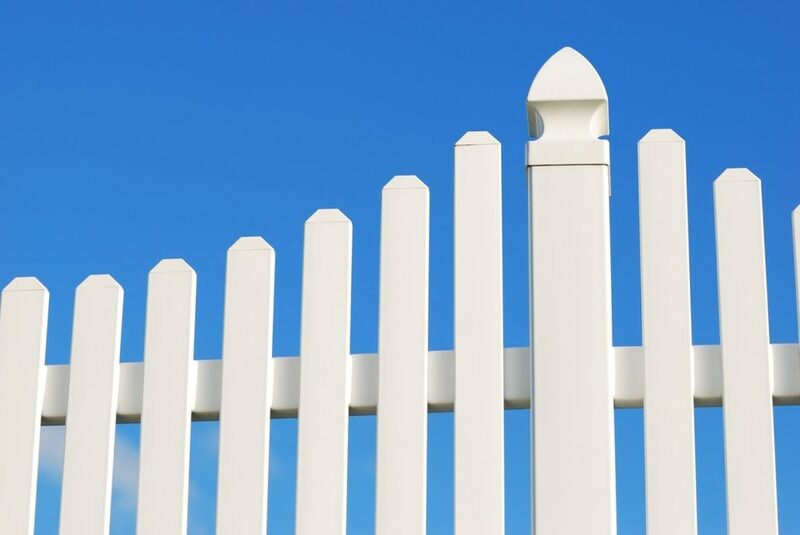 While vinyl picket fences are popular among homeowners, other vinyl fence designs include privacy fences, lattice fences, and even fences that mimic the appearance of other materials, such as natural wood, brick, or stone. These fences can be as short or tall as you would like. In addition, the number of vinyl fence color options is virtually endless. Your fence design can even include two or more colors of vinyl or, if choosing vinyl that mimics the appearance of another material, such as wood, be shaded to look more like the material it is designed to mimic. If you are looking to have a new residential fence installed, be sure not to overlook vinyl fencing due to misconceptions you may have about the material or your design options. Contact Mills Fence Company today for more help deciding which type of fence is right for your home.